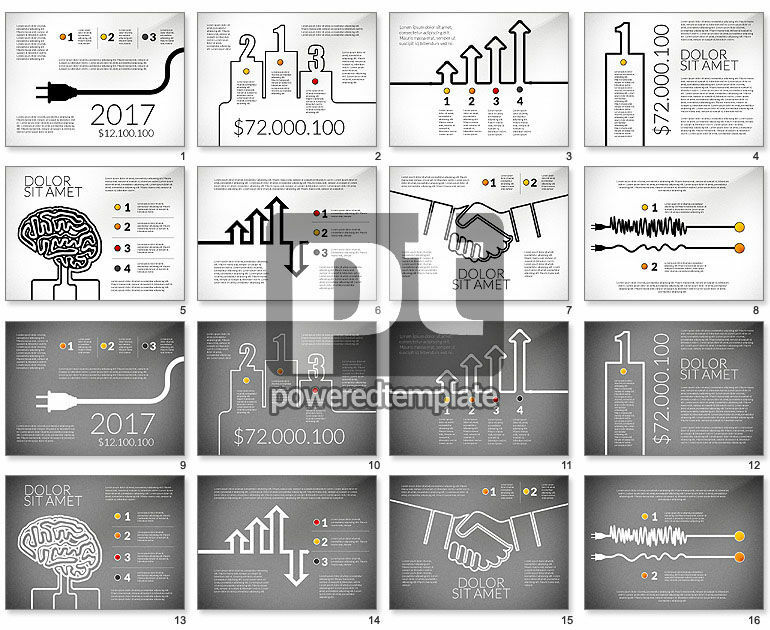 These presentation slides 48240 are complete compatible with Google Slides. Simple download PPTX and open the template in Google Slides. Enjoy this stylish template designed in a minimalistic style. It has nice details as a handshake, power cord, a brain, stages, etc. Due to its multifunctional meaning this template may be used in various fields of business to express new ideas, bright solutions, business communication, making deals, contracts, effective networking and cooperation, steps to success and other things.